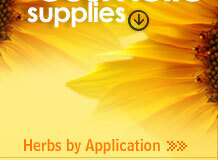 Wholesale suppliers and exporters of Skin Care Herbs, Skin Care Ingredients for Creams and Lotions. Aloe Vera has unique, anti-aging formulations to maintain healthy skin. Fuller's Earth comes highly recommended to those with acne problems, blemishes, and people prone to oily skin. The raw ginger is acrid, thermogenic, carminative, laxative and digestive. To induce abortion, ease menstrual cramps and to help in childbirth. Mint oil is commonly used for medicinal, culinary and cosmetic purposes. Mint oil is commonly used for medicinal, culinary and cosmetic purposes. Mint is well known for its ability to ease indigestion and upset stomach. Rose is good for most skin types and is used in a wide range of cosmetics. Sweet Violet Flowers are good for skin rashes and irritant eczema. The uses to which patchouli oil is put to include cosmetics, perfumes of all kinds. An evergreen tree reaching 7 m, with laters of papery bark, pointed leaves and white flower spikes. The rhizome is well known for its anti-gastric-ulcer, and -inflammatory.